Are you tired of those midnight maintenance phone calls and worn out from hassling with your tenants? Perhaps you are frustrated because you are chasing rent checks and repairmen? Maybe you’d really like to sell your rental or small apartment building but you dread the tax consequences. In fact, you may have thought about buying a piece of a new shopping mall, but you certainly can’t swing the purchase by paying cash and have never even paid cash for a home. If that sounds like you, here's the good news. By utilizing a 1031 Tenants in Common Exchange, you can sell that rental or apartment building, avoid the capital gains tax and still keep your money working for you. Tenants in Common, known as a TIC, is one of the best ways an investor can participate in the ownership of one or more high-quality properties while preserving wealth and avoiding the headaches of property management. For example, say you sell a fourplex that you’ve owned for 15 years, and you have equity of $400,000. Depending on the amount of debt you still carry on it, the purchase price of your new investment could be around one million dollars. While that’s a lot of money, you still may not qualify to purchase a top-notch property alone. If you decide instead to invest in a TIC, that $400,000 of equity could purchase a million-dollar interest in a $30,000,000 institutional grade property. A Tenants in Common 1031 Exchange allows diversification among several different properties at various geographic locations. You can invest in a warehouse, or storage units, a high-end hotel, or an office complex, a hospital or assisted-living facility, or an apartment building valued in the millions. This diversification may reduce the risk of your investment portfolio and could potentially increase its value. Before you invest in any 1031 Tenants in Common Exchange, please make sure a trusted attorney reviews the paperwork and do your due diligence. This includes a possible investigation of the entity selling the security, including making sure that entity is properly licensed. There are a lot of crooks, get rich quick seminar scammers, working in this end of the business. The IRS rules for a 1031 Exchange must be meticulously followed to defer capital gains and depreciation recapture taxes. The Relinquished Property must have been held for investment or used in the owner’s trade or business. 100% of the proceeds from the sale must be reinvested and the value of the commercial Replacement Property must be equal to or greater than the Relinquished Property. A Qualified Intermediary becomes the designated seller and holds all proceeds of the sale of the Relinquished Property. There is a 45-day identification period, during which at least three "like-kind" Replacement Properties must be identified in writing. The 200% Rule specifies that any number of Replacement Properties can be identified but their aggregate value must not exceed 200% of the Relinquished Property’s value. If the three-property rule and the 200% Rule do not apply, the aggregate market value of the commercial properties to be acquired in the exchange must comprise at least 95% of the total fair market value of all the identified properties. Once the Replacement Property is selected, the investor has 180 days from the date the Relinquished Property was transferred to the buyer to close on the new property. If the due date on the investor's tax return, with any extensions, for the tax year in which the Relinquished Property was sold is earlier than the 180-day period, then the 1031 exchange must be completed by that date. Investors should also remember that a portion of this 180-day period may already have been used during the 45-day identification period. There are no extensions and no exceptions to the 45-day rule, which includes weekends and holidays. If the time limit is exceeded, the entire exchange can be disqualified, and penalties and taxes will follow. If an investor is purchasing a fractional interest in more than one property, it is advisable to make sure that the scheduled closing dates are prior to the deadline. As an owner in a TIC, you will receive a separate deed as a tenant in common and a title policy insuring your percentage of interest in the property. You have the same rights as any other single owner. There is potential for income in proportion to your fractional ownership, which could potentially be greater than the cash flow you received from your past investments. Cash flow may be offset by the depreciation of your basis in the new purchase. You also share in the pro-rata appreciation, if any, of the property if it is eventually sold. A TIC is considered a valuable estate planning tool as your heirs should receive a stepped-up basis upon your demise. During the mid- to late-1990s, investors made numerous requests to the IRS asking for advance rulings as to whether an undivided (fractional), Tenants in Common interest in real property was an entity eligible for tax deferral under Section 1031. In response, in October 2000, the IRS issued Revenue Procedure 2000-46. This procedure expressed concerns that some Tenants in Common relationships might be viewed as partnerships for federal tax purposes and therefore ineligible for 1031 consideration. The IRS made it clear that it would no longer issue any advance rulings. This decision was repealed in March of 2002, followed by Revenue Procedure 2002-22. Known as the "Rev. Proc.," Revenue Procedure 2002-22 set out 15 points, which would be reviewed by the IRS when "considering a request for a ruling that an undivided fractional interest in rental real property is not an interest in a business entity" -- meaning a partnership that would not qualify could put the exchange at risk of an audit and tax consequences. However, obtaining an advance ruling will still be nearly impossible. Much of the information required for an IRS review is not even available until the sponsor is ready to acquire the property, close the loan, and sell interests to the tenants in common. Hence the reason why most sponsors’ council issue a "should" or "will" tax opinion located in the Private Placement Memorandum. The Rev. Proc. established clear guidelines for the structure, financing, and management of a Tenants in Common ownership. 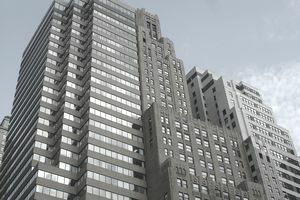 It allows 2 to 35 co-owners, although sponsors and lenders may set lower limits for some properties, which are usually between 10 and 25 investors. A husband and wife are sometimes treated as a single entity (depending on state law) and none of the co-owners is allowed to file tax returns as a partnership. Each co-owner has the right to sell or partition his fractional ownership but only after offering it for sale to the others. There is a proportionate sharing of profits and also debt (mortgage). With these clearer guidelines, the TIC industry began in earnest and attracted a larger number of new sponsors, broker/dealers and registered reps to the marketplace. Since the 1990s, there has been tremendous interest in Tenants in Common 1031 Exchanges. In fact, growth in equity has mushroomed 550% in TICs from 2002 to 2004. The total value of TIC investments that closed in 2007 is estimated to be over $8.5 billion. Some say this number is even higher -- reaching $10 billion (when including leverage). The vast majority of TIC offerings are made to "accredited investors" only, which means that certain financial criteria must be met. Single investors (or in combination with a spouse) must have a net worth greater than $1 million. An annual income of $200,000 the past 2 years with the anticipation that this will continue. A joint income with a spouse of $300,000 over the past 2 years with the expectation of no change. An entity such as an LLC, Partnership or Corporation must have assets of at least $5 million or, if the assets are less than $5 million, each investor must be accredited as an individual. An investor can gain valuable assistance in finding a Replacement Property from one of the many companies that specialize in handling 1031 Exchanges and Tenants in Common 1031 Exchanges. These TIC specialists have access to a large number of investment properties and often have completed various levels of due diligence, including price comparisons, disclosures, net income, vacancy reports, etc. Usually, the sponsor firms have spent enormous amounts of money structuring these real estate offerings to ensure that they meet the IRS requirements for a TIC 1031 Exchange. Sometimes the sponsor ties up a property with a purchase agreement and then prepares the offering documents, often called the Private Placement Memorandum, (PPM), which is then marketed through broker-dealers. A few sponsors close on the property before marketing it but this can be more expensive due to carrying costs. Select a registered investment representative who specializes in TIC investments. This should be done before selling your investment property. Evaluate some possible replacement properties. As you do this with your registered investment representative, you should scrutinize the sponsors of each offering. What is their track record? Is the infrastructure of their business organization adequate? Are their principals, staff and management qualified? Make sure your investment representative holds a Series 7 or Series 22 license, along with either a Series 63 or Series 66 license. He/she should also be experienced in commercial real estate, and have a proven track record of successful TIC exchanges. Is the sponsor’s program well structured and fair to investors? Is the offering put together carefully, legally and mechanically, with the proper disclosures? Are the objectives that are outlined in the documents met? Are the risks associated with the investment stated clearly? Is the program, with its assets, set up with a high likelihood of attaining the objectives? Are the projected objectives reasonable in view of the facts? What safeguards and reserves are in place? A Tenants in Common 1031 Exchange allows an investor many choices when looking for replacement properties. An equity investment of at least $100,000 is usually required, but each property offering will have a minimum that has been determined by dividing the total equity by the possible number of TIC interests. Each PPM offering should be evaluated, analyzed and compared to other competitive proposals. The past, present and future anticipated expenses, tenant financial information, location and environmental issues should be researched, and include a study of the property’s real estate market area. Some companies that handle TICs have completed due diligence on a variety of possible investment properties. To do this, registered investment representatives complete the due diligence within their company, usually through their due diligence department; while others seek the outside services of "due diligence consultants" and attorneys. 1031 Tenants in Common Exchanges can be structured in a variety of ways, and these opportunities often come packaged with management and financing in place. A non-recourse loan is sometimes offered, which prevents the lender from going after the borrower’s other assets in case of default. The lender’s security in the loan is limited to the value of the property. However, some lenders have recently begun requiring a responsible entity to sign for liability in the event that the rents received from the property are not used to repay the loan but instead are diverted for repairs, etc. Other lenders have stipulated that a TIC and, sometimes each individual buyer, must guarantee the lender against any future environmental issues. Investors are urged to closely scrutinize loan documents and the PPM to avoid the possibility of liability far in excess of their original investment. When carrying out due diligence on TIC programs, investors should carefully compare the structure and conformity with the 15 Rev. Proc. guidelines. A transaction that substantially deviates might result in the IRS disallowing it, thus subjecting investors to future tax consequences. Offerings are structured with a document signed by each owner, providing the sponsor with the authority to handle the daily management of the property. There may be a master lease or a management agreement that contain variances in the way rents and funds collected are dispersed to the TIC co-owners. Offerings may also contain a tenant in common agreement, which describes the relationship between the individual investor and the other TIC co-owners. A TIC may be also be structured as a Special Purpose Entity (SPE) where no individuals are listed as owners. Under an SPE, a single limited liability company purchases and owns the TIC interest. This structure provides an extra layer of liability protection for the co-owners and the lender. The TIC Sponsor will not be responsible for the management of the investment and independent management must be employed. Most sponsors treat TIC investments as securities because they meet the definition of security either in the state where the property is or in the various states where the Sponsor intends to offer it for sale. This means that means only licensed securities dealers can market these investments, with the oversight of the SEC. All TIC interests, including those that are securities, are conveyed by deed and most states classify them as real estate. The question of whether a real estate investment is security can be complex and the issue is causing considerable consternation. While the purchase of a TIC interest is a real estate transaction for 1031 purposes, most are sold as securities. However, it is not surprising that some sponsors continue to sell TIC interests like real estate and do not market them as securities. Since real estate brokers are usually involved in the sale of the Relinquished Property, marketing TIC offerings through these same brokers only seem logical as they are in a position to identify prospective investors. The conflict lies in the rules of FINRA, (Financial Industry Regulatory Authority) and the Securities and Exchange Commission, which prohibit the payment of a fee or commission to anyone who does not hold a securities license. This effectively rules out the payment of referral fees or commissions to real estate brokers. It is unfortunate that these rules, intended to protect investors, do not encourage real estate professionals to present the advantages of a TIC transaction to their 1031 exchange clients. An investor should view a TIC as a property that will be held as a moderate- to long-term investment. If liquidity is important, then alternative options should be considered. The demand for Tenants in Common properties continues to grow with each passing year. Suffice to say, the sheer velocity of the TIC marketplace and the 1031 exchange process can be daunting to investors unfamiliar with TIC, but the opportunities for profit and tax savings are enormous.